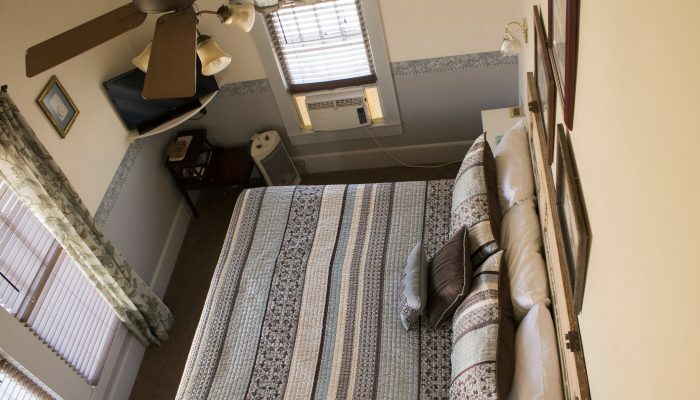 The Elderberry King Bed Deluxe Suite is located upstairs on the back corner away from the road. The King bed features soft, silky sheets and plush pillows. Cooling is provided by a central AC, but an additional guest-controlled air conditioner is located in the bedroom. 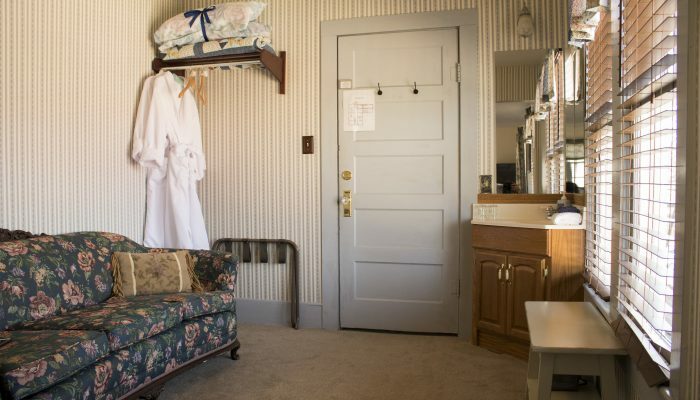 The private, in-room bathroom has a pedestal sink, chair-height toilet, and walk-in shower. Soft towels and washcloths feel great after a hot shower. 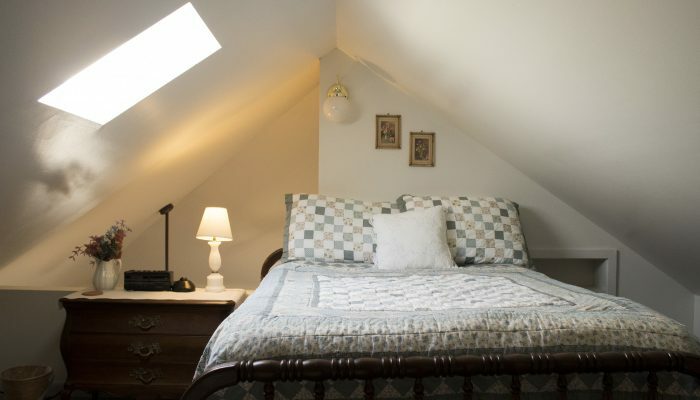 A double bed upstairs loft with the same comfortable sheets and pillows is a great area for another couple or kids. A large flat screen television with DVD player is easily viewed from the King Bed. 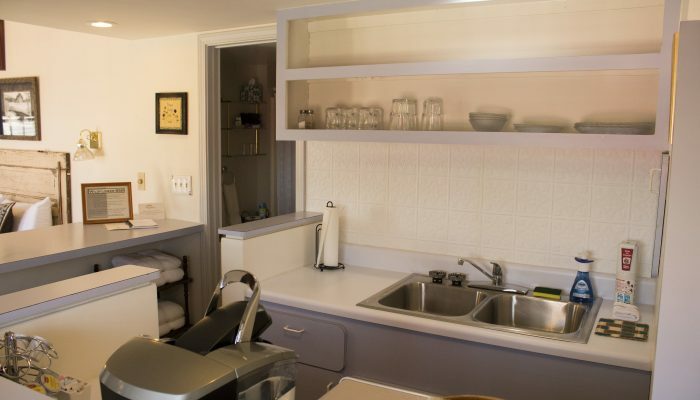 The kitchenette has a Keurig coffee maker with K-cups and coffee amenities, microwave, and mini-fridge. The sitting area has a comfortable couch and chair as well as another sink and mirror. Free Broadband Wi-Fi is also always available. $139 per night for 2. $20 extra for additional guest. 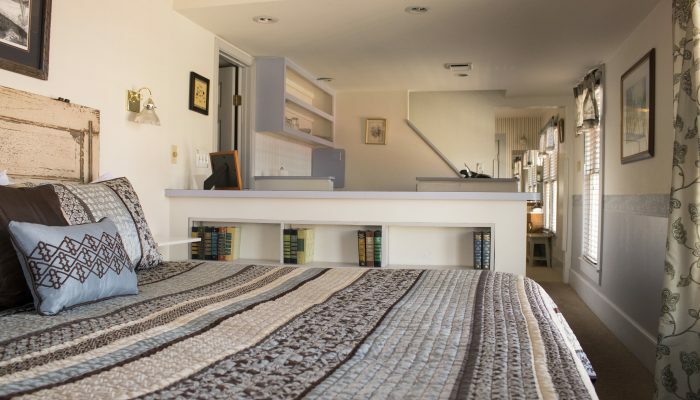 Two-night minimum on weekends Mar to Oct.
Sleeps up to 4 comfortably.